PLEASE NOTE Due to on going nationwide shortages of block salt, there is a maximum order of 40 x 8 kg blocks. 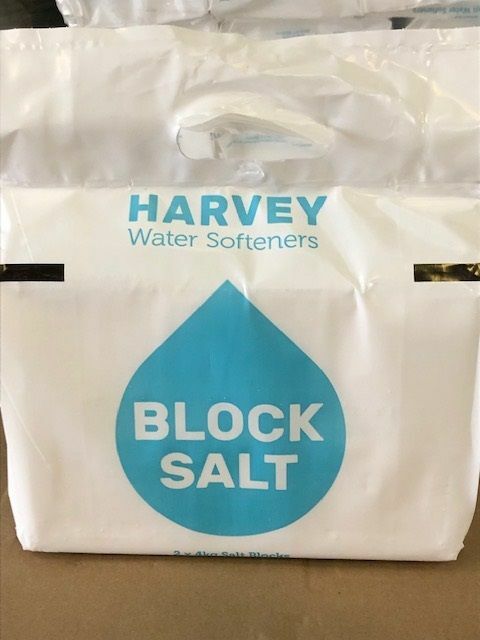 Harvey's Block Salt comes in a pack which includes two 4 kg blocks. Harvey's salt works with all block salt softeners and has no additives making it absolutely pure. With each bag weighing just 8 kg it is easy to handle and store. Changing the salt in your water softener couldn’t be more convenient.